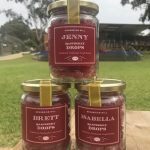 One way to ensure people keep their hands off your raspberry drops is with Sovereign Hill’s new personalised jars. For one night only, shoppers will be able to create personalised labels for their jars of the popular hard-boiled lolly. 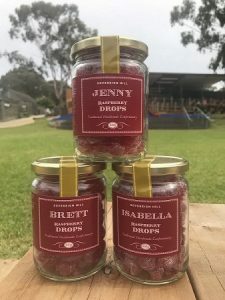 The customised jars are available with purchase of a 450g jar of raspberry drops during Sovereign Hill’s annual Christmas shopping night Friday, 30 November 2018. The night will also see stalls filled with delicious fudge, Turkish delight and all your favourite Sovereign Hill treats. Jams, sauces, soaps, creams and other locally made products will also be on display and available for you to purchase for that special someone (that special someone can be you!). A children’s choir and visit from St Nicolas will fill the night with Christmas cheer, alongside the new adventure Play Space which will be open for shoppers to enjoy. Entry to Sovereign Hill is free for this one-off shopping event.